As parents, we want the best for our kids. We want our children to have access to great schools and teachers and to have a wide range of opportunities available to them when they grow up. As a mother of four, it didn’t take long for me to realize that each child has a unique set of skills and abilities. What works well for one may not work for another. Some pick up reading very quickly, others see it as more of a challenge. Some thrive in groups, others prefer to work alone. The way we approach the unique education needs of our children reminds me of the way we manage our farms and fields. Just as we want the best for our kids, we also want the best for our land. And just as there is no one-size-fits-all solution to education, what works well for one field or soil type on our farm may not work for another. It’s our job as farmers to understand the unique needs of each field so we can produce more and better food, using fewer resources. That work is no small task. We use a variety of sustainable farming practices, depending on the crop we’re growing and the soil type and conditions of the field. For example, some fields need more nutrients than others. Some face more pests, such as weeds, insects and disease. 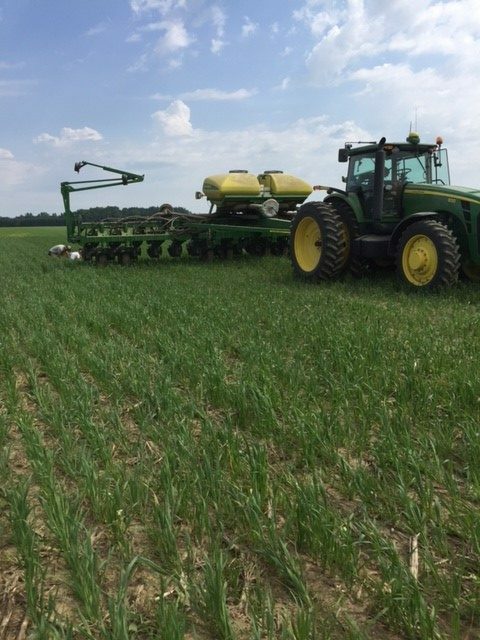 By using precision farming tools and information, we can be sure we’re applying the right amount of nutrients and crop protection products to produce a successful crop. We can also improve the health of our soil by using cover crops and crop rotation, or alternating the types of crops we grow in each field. While our family has a lot of farming experience, we know we don’t have all the answers. We are always learning and testing new farming practices and ways to grow more with less. We also rely on the expertise of others, including university extension resources, agronomists and other farmers. On the farm, we often work alongside multiple generations of our family. By doing so, we pass the lessons we learned from our parents on to our children. By working together, our children not only learn the business of how to grow crops and raise livestock, they also learn about nature and how our business is protecting the soil, water and air. They see firsthand how crops and animals thrive when we care for their unique needs and the environment around them. And we hope they will pass this love for the farm and the land on to the next generation.